I love science fiction. Literature, film, imagery, etc. For me, sci-fi is an amazing playground where the concerns of today can be extrapolated and imagined into fantastical realities, technologies, and moralities. It excels at the parable. Lessons that could be divined by dissecting complicated webs of existing real-world circumstances can be neatly reduced and made entertaining through the creation of alternative realities. As Sophia Brueckner of MIT writes, “Reading science fiction is like an ethics class for inventors, and engineers and designers should be trying to think like science fiction authors when they approach their own work.” Instead of being bound by business models and the constraints of modern day science, sci-fi writers simply imagine: What’s missing? What would be really awesome and useful if it were to exist in this situation? And then, sci-fi designers take that idea and make it look like something. As a designer and entrepreneur, I am always fascinated to see how exactly creative teams decide to portray future technologies. I plan to return to this subject somewhat regularly going forward, so I won’t try to cover the whole sci-fi continuum in one post (ha). 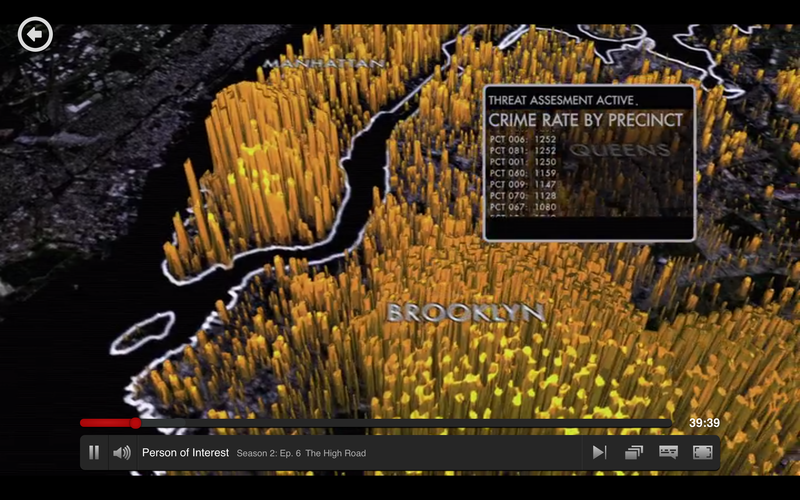 Today I’d like to talk about one example: the CBS TV show Person of Interest, 2011-present, starring Jim Caviezel and Michael Emerson. The premise here is that after 9/11, the government commissioned a nerd genius to build “the machine“, a machine intelligence that watches and listens to the world from every camera, everywhere, 24/7. The government’s stated goal for the operation was to identify terrorist threats before they materialize, but the machine can’t just identify the terrorists; it surveils everyone, and then creates a list of “relevant” (terrorist) threats, and another list of “irrelevant” (everything else) threats. 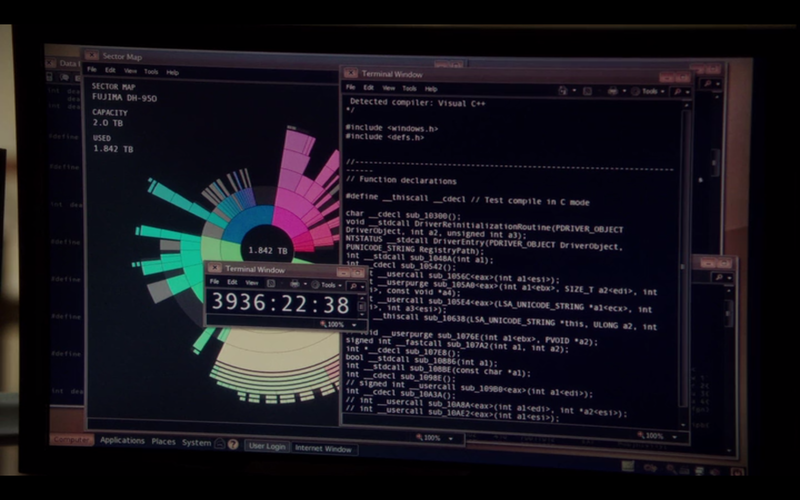 Based on phone calls, voice tones, behavior patterns, and a sprinkle of sci-fi magic, the machine spits out the social security number of the person or people who will somehow be involved in a violent crime. 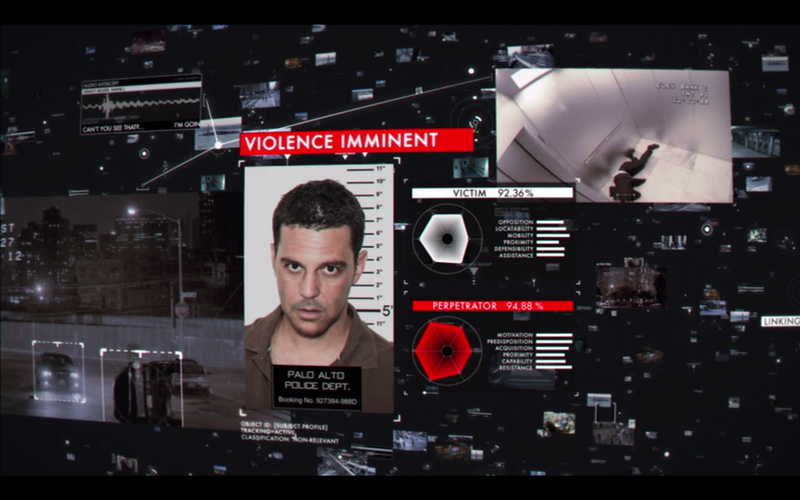 It’s very much along the lines of Tom Cruise’s Minority Report (2002) (TV adaptation coming in 2015!) except there are 90 episodes (and more to come), which allows for a pretty deep investigation of the ramifications of the existence of such a technology. I am no surveillance expert nor do I have particularly radical views regarding the surveillance state. Part of me believes that it’s pretty much inevitable so why fight the tide, but that’s just negative Nancy blowing air in the back of the room. 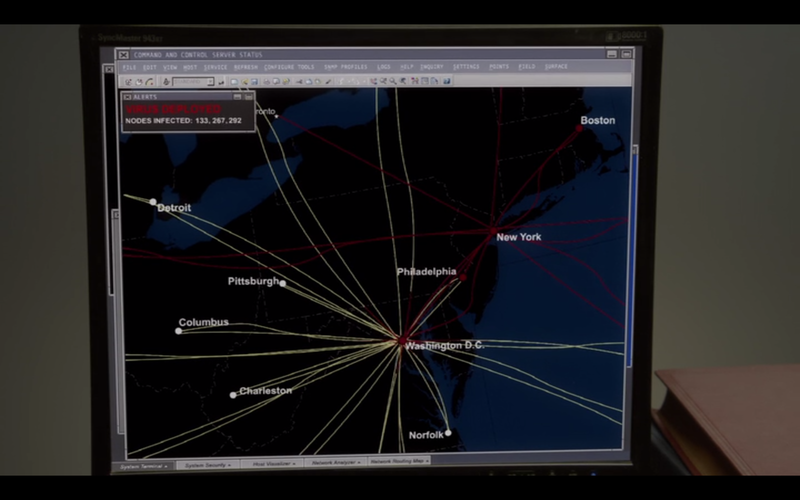 But instead of tackling all of the interesting commentary on the status and direction of surveillance in the USA today head on, I want to focus on how it looks in the TV show. What is the film editor / animator / creative team trying to tell us? What do the visual representations of this “Machine” communicate to the audience? How is design used to complement the drama on screen, and how does it contribute to the messages the show is trying to get across? FORCE PAIR. One of the scariest technologies that BETTER NOT EXIST. All communications intercepted. Did they build this app or somehow animate it? LOCKED PHONE. Did they build this app? Glimpse into the mind of the machine. 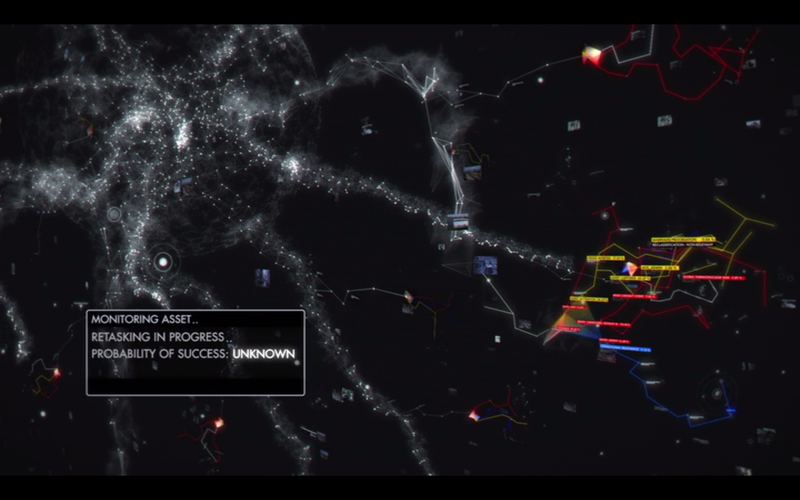 Interesting depiction of how an AI would construct ‘thoughts’ with probability trees and risk assessments. Seeing through the eyes of the machine, everything becomes possible. All can be seen, all can be known. 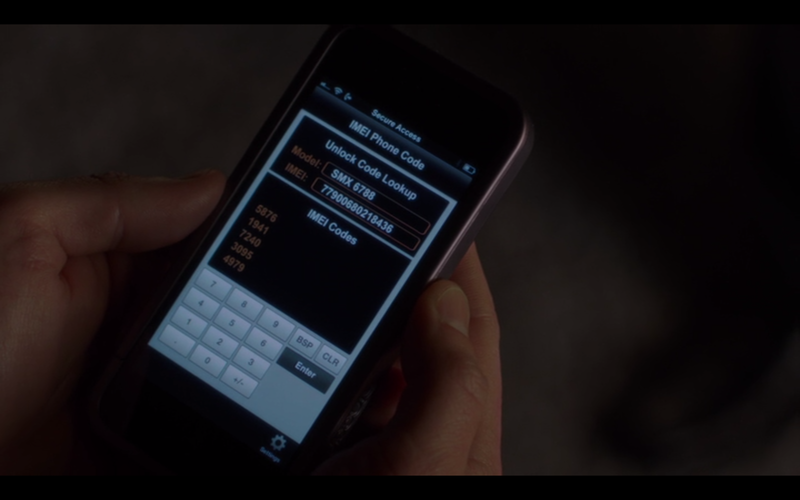 One character regularly refers to the machine as “God” and uses female pronouns as if it’s a live entity with thoughts and emotions: “The truth is, God is 11 years old, that she was born on New Year’s Day, 2002, in Manhattan”. This anthropomorphization may or may not be an accurate representation of how a real-life surveilling AI will behave, but this is TV; the goal here is not accuracy, but rather to thrill and entertain. However, despite being told from the Machine’s POV, the show still very much abides by the classic Hollywood storyline structure. In the terms of Walter Ong, “Cyberfilms are about electronic thinking but are couched in exclusively literary forms” in order to be close enough to the human “lifeworld” that we can understand and relate to it. Put another way, if an AI decided to make a TV show without considering its audience, I doubt it would cater to the slow and linear mind of the average human. But this is human-made TV; the goal here is not accuracy, but rather to thrill and entertain a human audience. 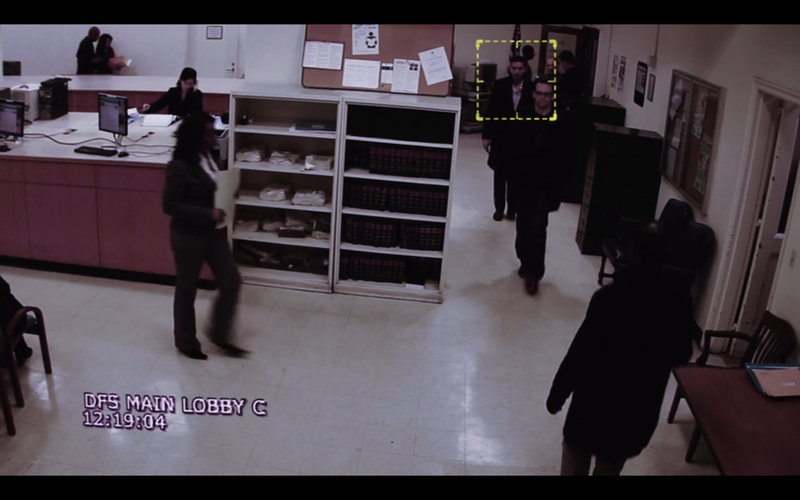 In Person of Interest, almost every scene involving a screen – computer, phone, surveillance footage – have one thing in common: one big, bold, flashing red-and-white announcement of what is happening in the script. 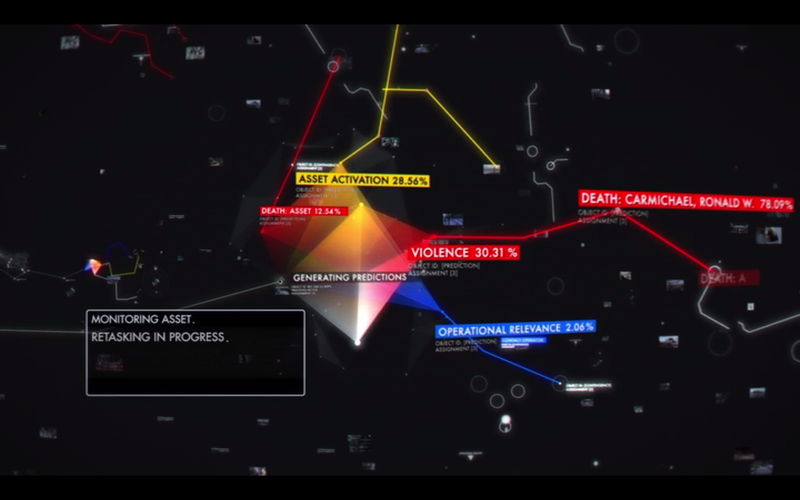 *VIRUS UPLOADED* *HACKING BANK NETWORK* *CREDIT CARD INFORMATION ATTAINED* *VIOLENCE IMMINENT* *FORCE PAIR COMPLETE* etc. With utter disregard to the user experience of actually using the software in question, movietech designs for the big screen, which is hilarious but generally necessary. 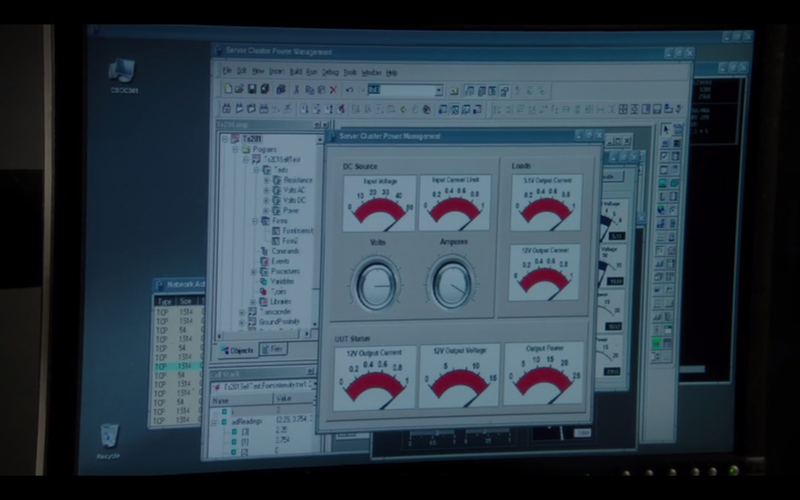 Rarely do we see interfaces that are familiar to the average tech user. 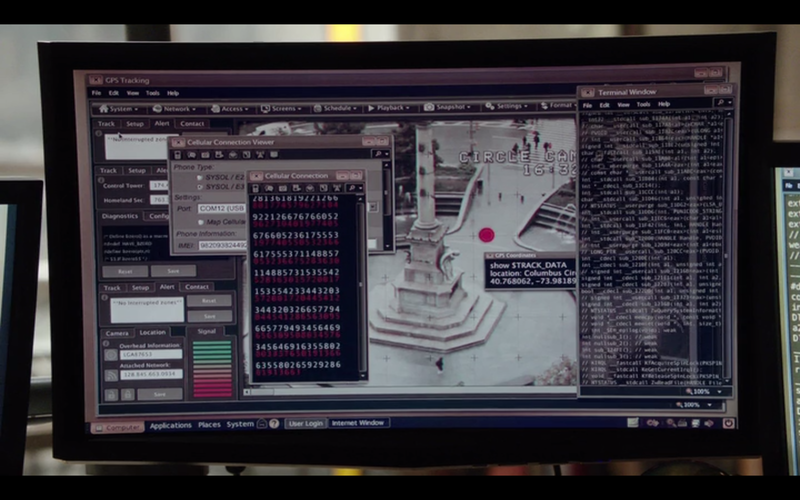 Instead of the classic white-and-colorful Google landing page, we get greytoned terminals and scary looking level monitors like these found in Hydra technology from the Marvel Universe. As if to say, kids, don’t try this at home, because you couldn’t if you tried. The point I’m trying to make is simply that technology in films, even when the “narrator” is a machine, serves primarily to reinforce and decorate whatever drama is happening on screen. The animations don’t need to be accurate representations of how an artificial intelligence would “think”, they just need to evoke awe and technological omnipotence. 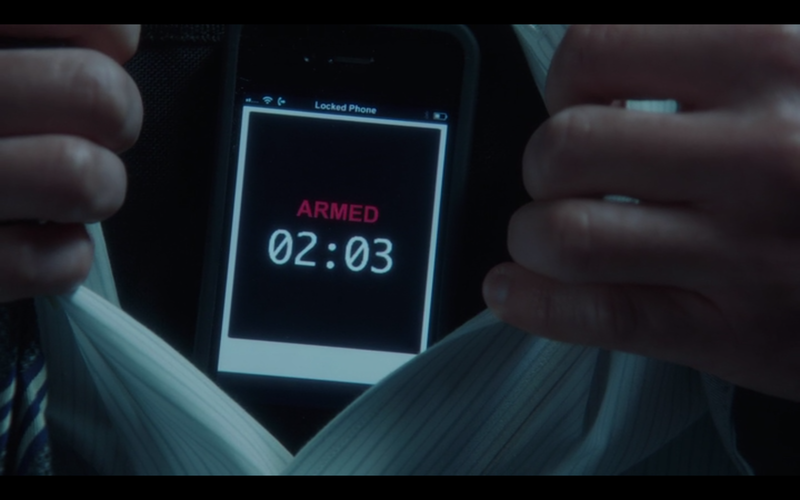 The shock and alarm the viewer feels when the machine effortlessly invades every home, every bluetooth coffeemaker, and every smartphone to listen in on your late night pillow talk — it’s all part of the show’s hook, and it’s reinforced by the graphics that all scream “I AM EVERYWHERE”. Basically, all the editing and scrambled voice recordings and silly typewriter fonts used throughout the show are meant to never let the viewer forget exactly how ubiquitous the Machine — and today’s technology — is. It’s reinforcing an alarmist message about big data, who owns it, and how they will use it. In a world where Google knows more than the NSA and we’re OK with that, Person of Interest asks, What if small, private organizations take this power into their own hands? What if it’s not a non-interventionist AI machine that is watching our every move, but rather a small group of fallible humans? The goal of the production design here is just to shove it all in our face, over and over again. It’s relentless and thrilling and looks cool and complicated. I’d love to hear the production designer break down how they achieve each effect. How much is proprietary? 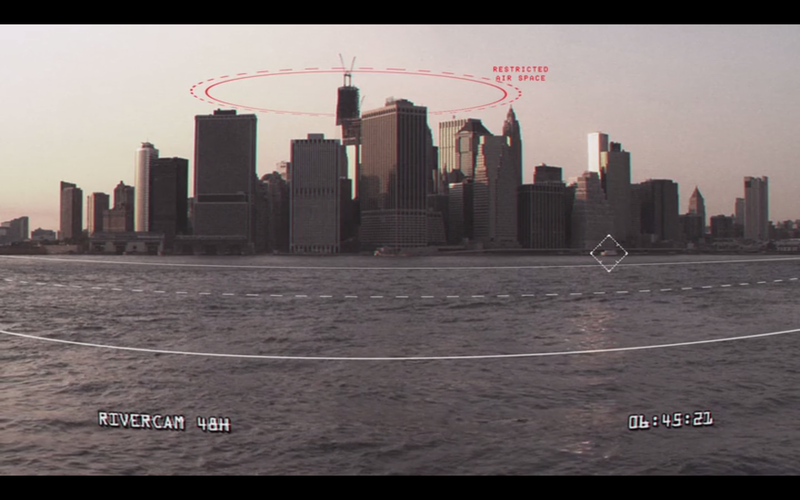 How much is the real deal, and how much is post-production CGI? They do such a good job that frankly it’s hard to tell. Someday I’ll write about Mr. Robot and Black Mirror, both of which are fantastic shows that push the sci-fi envelope in many directions.